Tiffany’s practice focuses primarily on issues pertaining to the education and discipline of students with disabilities. She also assists districts in ensuring compliance with state and federal special education laws and regulations, including the IDEA and Section 504 of the Rehabilitation Act of 1973. In addition, Tiffany defends Districts against state-level complaints filed with the S.C. Department of Education, as well as federal complaints filed with the U.S. Department of Education’s Office of Civil Rights. 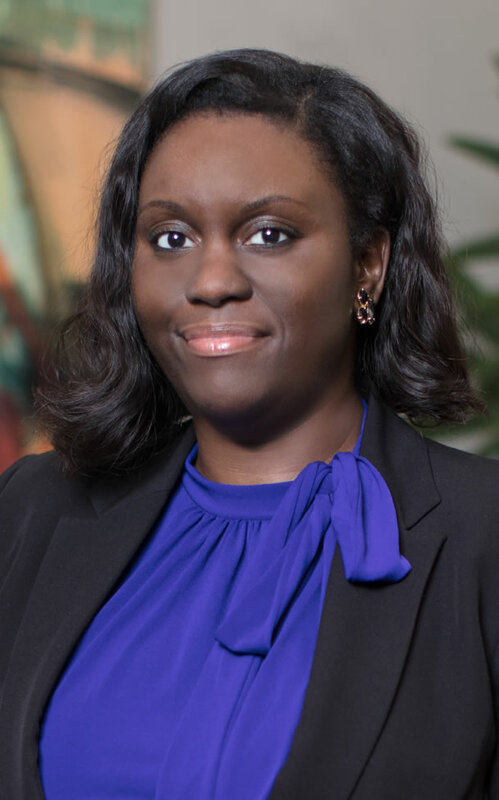 Tiffany began her legal career as a public defender in Sumter County. During her time as a criminal defense attorney, she gained valuable trial experience representing clients in the magistrate’s and circuit courts. She also worked for the South Carolina Commission on Indigent Defense in the Appellate Division, where she handled appeals from criminal convictions and post-conviction relief cases. Tiffany is a native of Ridgeway, S.C., where she attended Fairfield Central High School. She went on to graduate from Wofford College in Spartanburg, S.C., in 2005, where she majored in English and Spanish, and completed the Latin American and Caribbean Studies Program. Tiffany enjoys yoga and is a certified yoga instructor.